Since taking over as the head of the EPA, Pruitt has found himself caught up in a number of ethical scandals. Between wasting taxpayer money on an enormous, round-the-clock security detail and flying first class, getting caught lying to Congress in his confirmation hearing and now accepting a crazy deal on housing from an energy lobbyist, it's clear that Pruitt's conduct is not appropriate for a top-level government official. That's why we're calling on the president to tell Pruitt: "You're fired!" It has been bad enough that Pruitt demonstrates zero concern for the environment and is a climate change denier, doing the bidding of the dirty energy industries to dismantle our environmental protections. But on top of that, he has no scruples or respect for his position or the taxpayers. It's time for Pruitt to go. 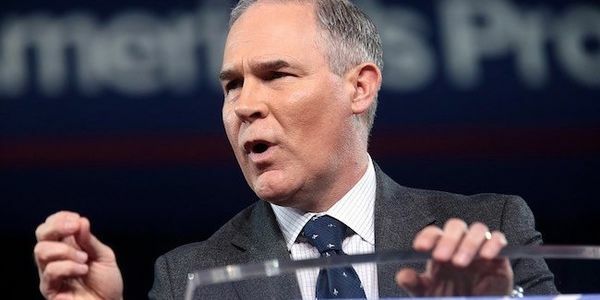 Please sign this petition demanding that President Trump fire Scott Pruitt immediately! Scott Pruitt is a walking scandal. Most recently, he illegally used his connections to get his wife a job and using staffers to do bizarre personal errands for him. We have got to get this guy out of the EPA. Scott Pruitt granted a "hardship waiver" to a refinery owned by a billionaire Trump pal, after that same pal personally interviewed Pruitt for the EPA job. Scandal after scandal after scandal after scandal. Tweet @realDonaldTrump to #BootPruitt and share our petition to demand Trump save the wetlands and drain the swamp.